This is the comment heard countless times over the years from Vietnam War Vets who saw Letters From The Front. 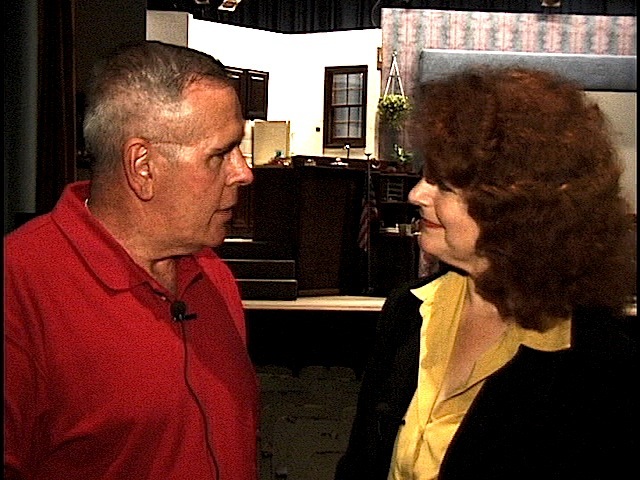 Being Boomers, Producer Marsha Roberts and Writer/Director Robert Rector are part of the Vietnam War generation. 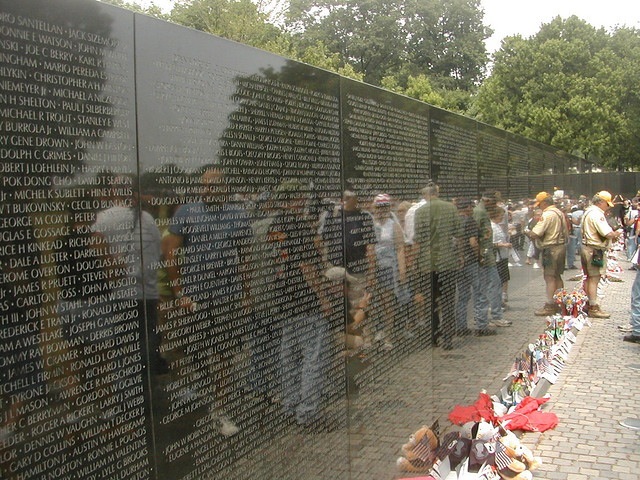 Many of their friends served in that war. Some didn’t make it back. 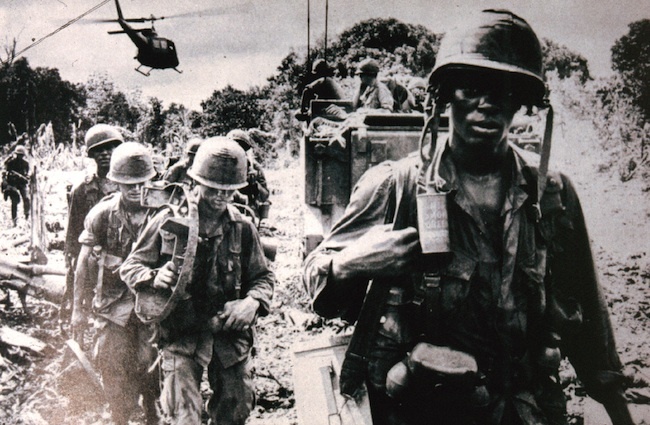 This is just one of the many Vietnam War photos that is part of the Letters From The Front experience. Letters from Vietnam have always been an integral part of the show. Even though the current version takes place during WWII, it opens and closes during the late 60s with lead character Katharine Hartgrove composing a letter to her grandson who has just been deployed to Nam. 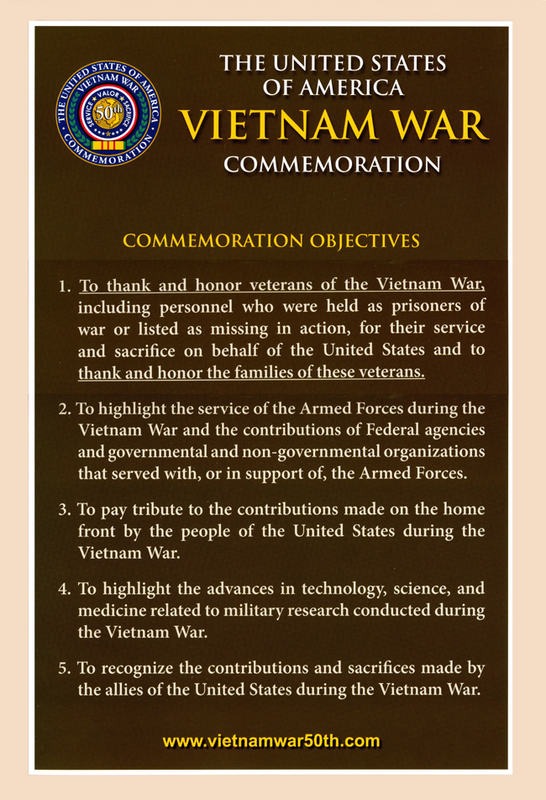 It has always been important to Rector and Roberts that the Vietnam War connection was preserved. 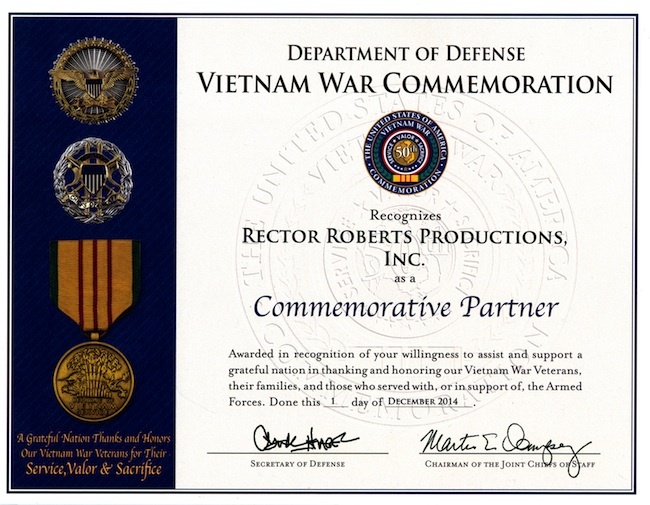 We are proud that Rector-Roberts Productions has been selected as a Vietnam War Commemorative Partner. 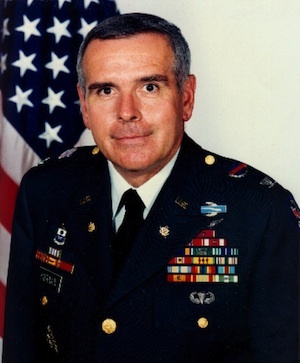 Col. Rick Kiernan, U.S. Army, Ret. Col. Rick Kiernan and Letters From The Front Producer Marsha Roberts following a performance at Ft. Belvoir, VA.
We hope that all Americans will join with Rector-Roberts Productions and all the other Vietnam War Commemorative Partners in paying tribute to the veterans of that war and especially to the 58,272 whose names are engraved on the Vietnam Veterans Memorial Wall in Washington, DC. and the more than 1600 who are still MIA.